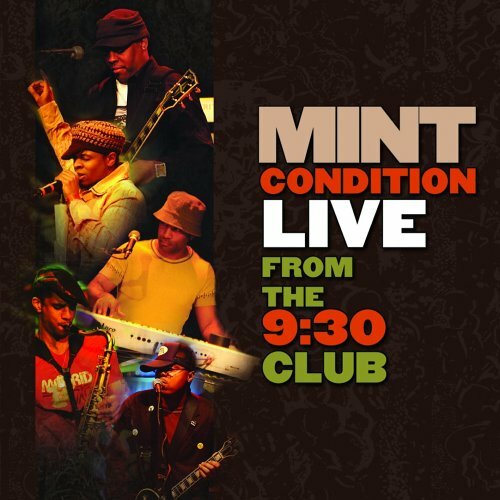 Mint Condition stands for excellence in music; this is LIVE music at its very best. Mint Condition proves the band's bigger and better than ever as the quintet (lead vocalist Stokley, guitarist Homer O'Dell, keyboardist Larry Waddell, saxophonist Jeff Allen and bassist Rick Kinchen) takes its incomparable grooves to the next level on stage at the 9:30 Club in Washington, D.C. Growing stronger over the band's ten years together, Mint Condition has developed a hot, seductive sound, irresistibly combining soul, jazz and gospel. The set features all of Mint Condition's top hits, including the blazing 'Breakin' My Heart (Pretty Brown Eyes)', 'What Kind of Man Would I Be? ', 'So Fine' and 'Is This Pain Our Pleasure? ', as well as songs from their latest album Livin' the Luxury Brown including 'I'm Ready', and the summery smooth 'Whoaa'. Image. 2006. If you have any questions about this product by Mint Condition, contact us by completing and submitting the form below. If you are looking for a specif part number, please include it with your message.